Philadelphia – The Islanders are red-hot. One of the reasons it’s working so well is their team speed. 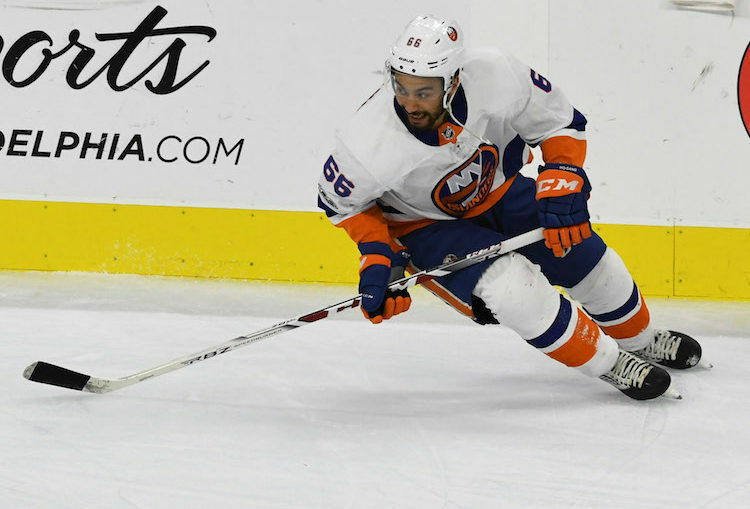 It can be a lot to handle and Josh Ho-Sang has speed to burn. In overtime the tireless captain, John Tavares played almost the entire duration of the extra frame. The game ended at 2:44 and my estimation of the time Tavares played was two minutes, possibly more. Ho-Sang shined in OT. He showed off a gear that the Flyers weren’t ready for and he whizzed around the defense and eventually fed the puck to Nick Leddy who had all day to shoot. “He’s got an engine like no one,” Ho-Sang said about his captain. “John controlled the whole shift I was on at least. He brought the puck out of the zone twice. We just try and read off him. He creates a lot of space. He kicked it to me and it worked out. Doug Weight made the Islanders young forward wait to play in overtime. You could tell he was dying to get on the ice again. He had to wait around a while to get back in the game and sometimes that’s challenging for any player. In his first 33 games, he has 18 points. So far, this season he has eight points in 12 games. His 8 PIMS are showing pretty good restraint. That’s something that has derailed him before. Taking the bad penalty or showing a lack of discipline. I can’t say he’s 100% past that but he’s certainly maturing as a player. At 21, it’s not a shock at all. When the Flyers and Islanders meet the play is pretty wide open. Coaches don’t love when teams trade chances for most of the game.